It also stresses the importance of contributing stories so that we can analyze the common elements and look for insights. To prime the pump, I loaded the spreadsheet with two examples. To date those are still the only stories in the database. What went wrong? Lots of clicks, no contributions? I would have been very happy to get a lot of stories to analyze and publish the results. But another important lesson is learned here: some people are “doers” and some people are “viewers.” Analysts gather the data, run it through statistical models, make maps, and create the site package for the investment committee. Maybe the dealmakers can go online and run some reports and maps and even a sales forecast. The maps have been created by mapping gurus and the models have been built by modeling gurus. These “doers” set everything up so that the “viewers” (dealmakers and investment committee) can spend more time in the field and attending important meetings. There’s nothing wrong with this division of labor; but we need some fresh thinking about the decision process to improve the ROI from real estate investments. It starts with recognizing the need to move the decision makers closer to the data in order to see and experience the richness of the marketplace and better train their brains to guide them in evaluating new sites. 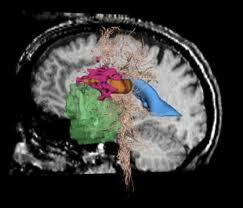 “Functional MRI studies show our beliefs come from specific firing patterns of neurons, hormones, and neurotransmitters. This brain activity is developed by experience and linked to the feelings that experience engenders. The feelings themselves are specific neuronal firing patterns deep in the brain. In other words, humans aren’t rational, but sentient. Our beliefs are hardwired by experience and feelings. The stronger the feeling and more frequent the experience, the more we become neurologically hardwired to respond in the same way. Implement a state-of-the-art mapping and demographic analysis systems that works on the desktop, online, and on mobile devices with the same data and similar user interfaces. Trade Area Systems, a company based in Attleboro, MA is one of the most innovative players in this space with their “Unified Market Knowledge System” (acronym is “UMKS,” rolls right off your tongue :)). The “doers” can maintain the content of the system and provide analytical support to the dealmakers, but the dealmakers can get interactive maps of the market integrated with Bing Maps on their laptop or even an iPad (http://www.tradeareasystems.com/products.asp). All of the maps and reports can be shared by the entire real estate team and beyond (finance, operations, marketing, merchandising), making it easy to get input in near real time instead of wondering how the investment committee will react at the big “pow wow” in three weeks. Develop a good analog retrieval system to allow your dealmakers to find stores that are the most similar to a proposed site. Many companies use a simple excel spreadsheet with store attributes arranged as columns with “filters” applied to match the proposed site. Analysts know how to build these tools and populate them with data from sophisticated mapping and demographic analysis as well as site characteristics. The “automation” helps to quickly and objectively identify the most similar stores; but the real work and opportunity for insight comes when the analysts and dealmakers review the proposed site against the analogs to identify the key similarities and differences that might require projected sales adjustments. Training for less experienced dealmakers through mentoring from those with more experience and “simulation” exercises that encourage critical thinking about the profiles of successful (and underperforming) stores. I’m going to leave the “Site Selection Surprises” page on the blog site for awhile longer to see if the contributions roll in. But if not, I guess I’ve learned that the “viewers” may need to be coaxed into helping the “doers” do their job so that the whole team can get better! This entry was posted in Decision Making and tagged analog, complexity, demographics, mapping, market planning, model, real estate, sales forecasting, site selection by Jim Stone. Bookmark the permalink. Jim – I think most are either 1) afraid to admit that their perfect site and perfect deal didn’t work or 2) That their analysis was over-ruled and never used. Therefore, neither group wants to share their stores in public/cyber space. Good points. However, this is an anonymous record, so neither the contributor nor the company needs to be identified. On the flip side, there’s another group that would have no reason to hold back: the ones who had better than expected sites! Maybe I’ll add a couple of positive example stories to the spreadsheet to tickle the memories of those folks.